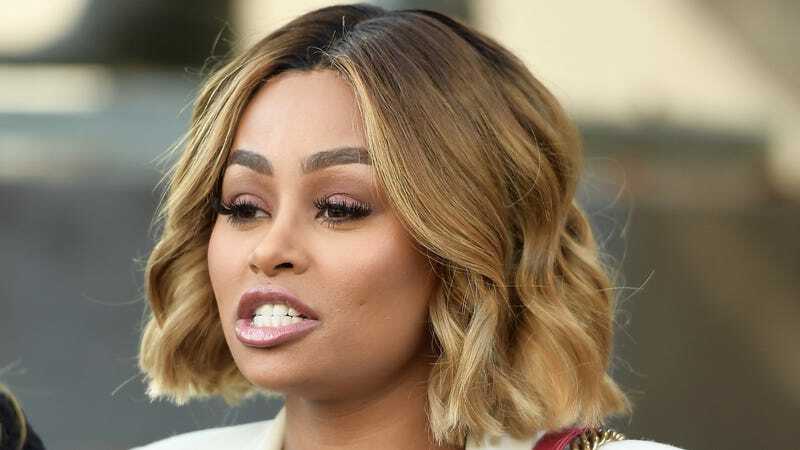 On Tuesday, Oct. 17, Blac Chyna filed a lawsuit against the entire Kardashian clan for battery and for cancelling her reality tv show, Rob and Chyna, in which she starred with her then-partner, Rob Kardashian. Now, the Kardashians are clapping back with allegations of their own. According to TMZ, Kris errrr, “sources connected to the Kardashians” say Chyna was the aggressor in the relationship, and contradicted her version of a domestic violence incident in April. In her lawsuit, Chyna claims that Rob physically assaulted her—getting so aggressive he actually ripped a door off its hinges. Chyna also references Rob’s emotionally abusive behavior, including his repeated threats to kill himself. Rob claims he never struck Chyna during their relationship, and only acted in self-defense. Previously, Chyna had been credited with beating the publicity loving, plastic-surgery copping Kardashians at their own game. But despite the Game of Thrones-worthy messiness of Chyna and Rob’s love affair, the reality show about their lives drew little in the way of ratings. TMZ claims The E! Network, home to Chyna’s former show and Keeping Up With the Kardashians, wasn’t happy with the anemic ratings. A month before the domestic violence incident, the network cancelled the show’s second season. While Chyna insists the Kardashian family used their ties at the network to dead the show, TMZ cites “sources connected to the network” who say that logistically there was just no way forward: Chyna allegedly couldn’t stand to be in the same room as Rob. Chyna was granted a restraining order against her former partner in July.